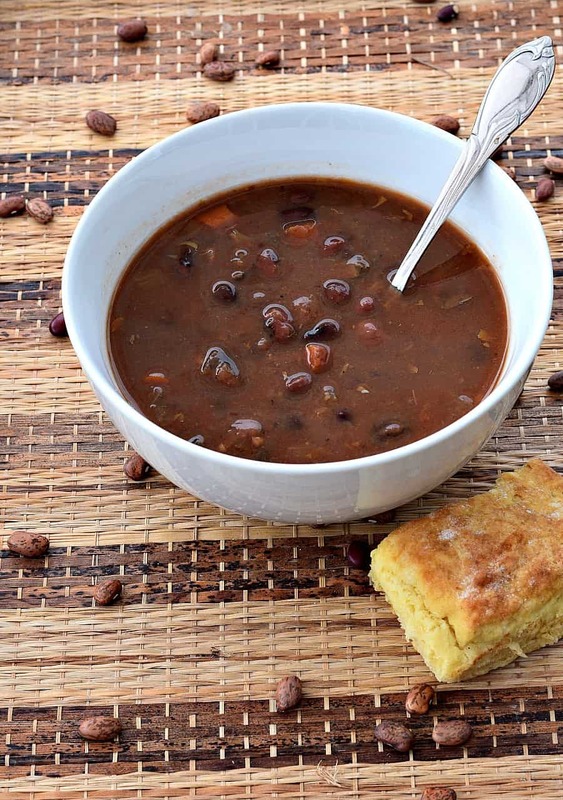 How about a nice hot bowl of Vegan Bean and Bacon Soup? With maybe a big hunk of Homemade Cornbread or a few Vegan Buttermilk Biscuits on the side? Come on, fess up…. who didn’t LOVE those little cans of Campbell’s Soup as a kid? Although it wasn’t exactly Vegan Bean and Bacon Soup back then….it was still good. So when one of my awesome readers told me that if you add carrots to my Vegan Soup Bean Recipe it tasted just like Campbell’s Bean and Bacon Soup….. I knew I was going to have to try it. And I’m here to tell you that if you add a little Mushroom Bacon to it too … ? Oh wow, pure comfort food yumminess! I know a lot of you have those fancy Instant Pot Pressure Cookers and can probably make this recipe in no time. I included a link to Amazon just so you can see the 4½ star review from over 8000 people. And yes, that is an affiliate link BTW – meaning if you actually buy one I’ll receive a small commission. Ok legal stuff completed….but the point is… the 8000 reviews! I had no idea they were THAT poplar! But sadly – I don’t have one. So I have to resort to making my beans the old-fashioned way, just like my grandmother did back on the farm…. an all night soak and then a slow all day simmer…. Oh sure it takes a lot longer – but the smell of these amazing beans cooking all day is just pure heaven so I don’t mind. However you prepare this soup, I know you’re going to like it! I put 2 cups of dried Pinto Beans in a large pot and cover them with about an inch of water. I cover the pot and let them sit all night long to soak. The next morning I rinse and drain the beans, put them back into the pot, and add more fresh water (again about an inch above the beans), and then turn on the heat. Let them come to a boil and then immediately take them OFF the heat and cover to soak for another hour. That’s right, I do both the long and short soak methods for my beans and they come out SO tender! 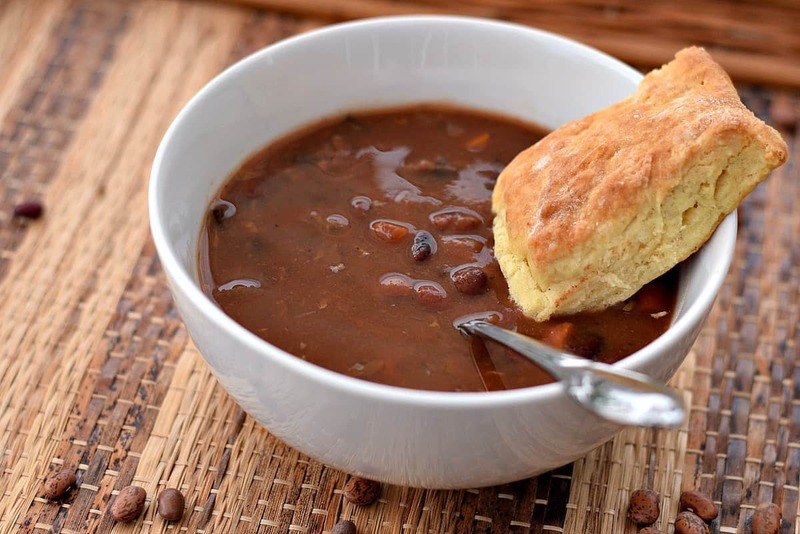 After an hour – pour the beans and their broth into a crock pot and add the remaining ingredients. I add about 2 cups of Veggie Broth, 1 whole chopped onion, 2 small chopped carrots, and 2 small ribs of chopped celery. Season the soup with tomato paste, salt, onion powder, garlic powder, cumin, and thyme and stir well to mix. If you use a crock pot like me, set it on high and forget about it. Occasionally check it to make sure there’s enough water and give it a stir. Cook the beans for about 4-5 hrs. When the beans are soft and tender, we can add some thickener and make our Mushroom Bacon. To thicken, I remove about 2 cups of soup and add 1 tablespoon of corn starch. Puree this in a blender until smooth and then add back into your soup pot. It should start to thicken immediately. Any kind of mushroom should work, but I usually use Baby Bellas. Rinse and dry the mushrooms and then add them to a ziplock baggy. I use a 1 cup Pyrex Measuring Cup to whisk together the marinade ingredients and then pour this into the baggie with the mushrooms. Seal and lightly shake to distribute. The longer you can let this set and marinade, the better the flavor. I usually start my Mushrooms about an hour before the Soup will be ready to give them plenty of time to soak. 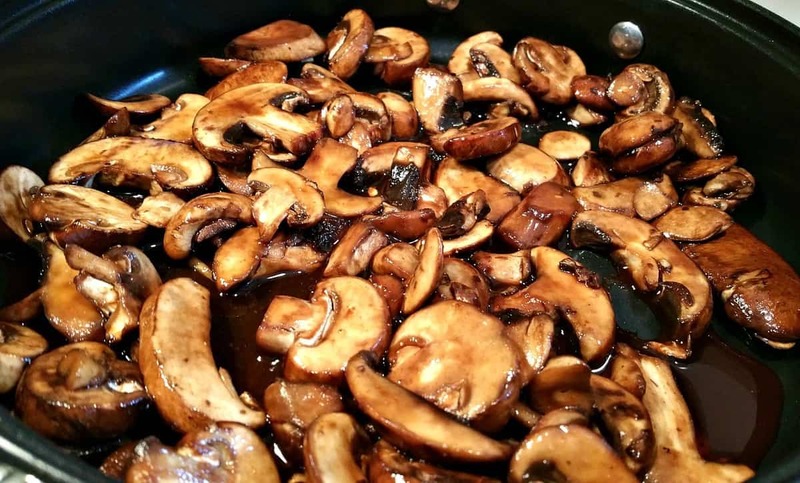 When you’re ready to prepare them, simply dump the mushrooms into a non-stick skillet or pan and simmer until they have reduced in size and there’s very little liquid left. Stir these into your soup right before serving. As always, love , love, love the comments. As Wheezie from Dragon Tales says…..LOOOOOOOOOVE IT! Keep them coming and let me know how you like the soup. What…… Don’t YOU watch Dragon Tales???? This Vegan Bean and Bacon Soup reminds me of those little cans of Campbell's Soup I ate as a kid. With marinated mushrooms substituted for the bacon you almost can't tell the difference! My method does not include the use of an Instant Pot. A pressure cooker will reduce the cooking time substantially and no overnight soak is needed. To perform the “short cook,” simmer the beans until they wrinkle, then pour off the liquid and start over. This process leaches out the chemicals in the beans that cause gas. If you eat beans every day as many vegans do, your body will learn to digest these sugars and the “musical fruit” will make peace with your body. Until then, use the quick boil, rinse, long boil method. If using a pressure cooker, cook the dry beans about 4 minutes, pour off the water, and cook again for the recommended time. Loved the soup – even non-vegan company loved it. Thank you. Chuck, a question; steps 3, 4, and 5 for the beans…do you put the beans AND the water they steeped in into the crock pot? Or just the beans, drained? I so want to try this! What is the answer to Brad’s question? The contents of the pot – meaning the beans and the water. Thanks, not sure how much water that is, but — I guess we’ll see! I’m happy to come across this. My grandma recently passed and she always fed us campbells bean and bacon soup. 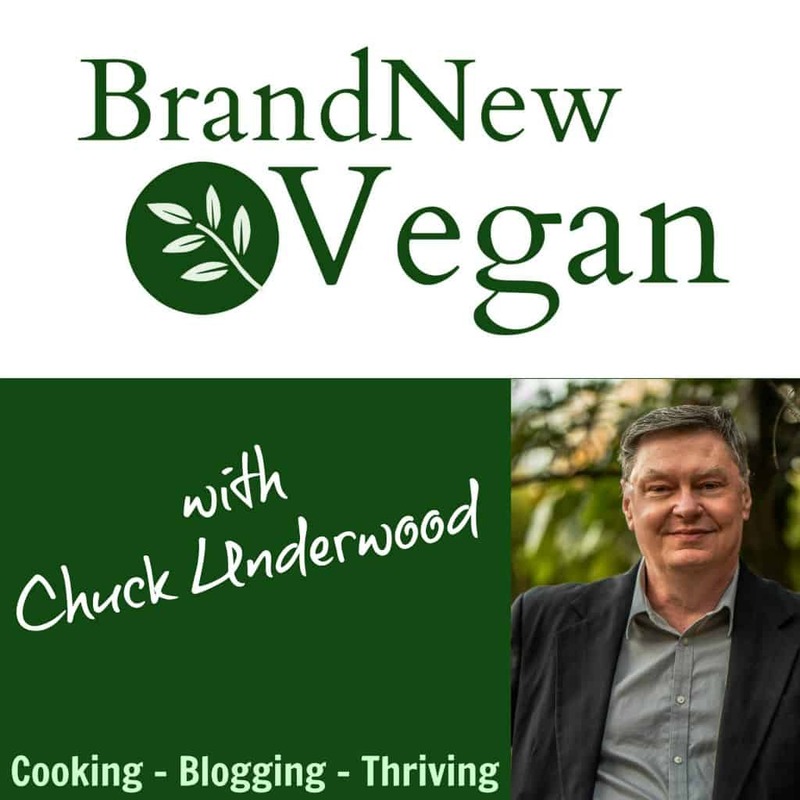 I try to stay away from a lot about this product starting with meat! But I wanna have a meal that reminds me of her every now and then. Something similar with a vernors. This might be it! Thanks for another nice recipe! My husband and I have been enjoying this all week. Hi Chuck, I made this bean soup and it was really good. However, I didn’t read all of your blog post before printing off the recipe and making it (sorry!!). Soooooo, when I cooked the beans on the stove (before placing them in the crock pot, I put waaaaaaay to much water in them. I didn’t see where the size of the crock pot was listed, (I have a 3.5 quart) so my crock pot was full to the rim. I even had to discard some of the cooking water. Possibly the recipe could include a suggested size of crock pot and the caveat that one should only add about one inch of water over the beans when cooking? Thank you for all you do. Love your recipes. Going to try the Thousand Island Dressing next! Would it totally ruin the soup to use canned beans? Not at all – but you will have to adjust the cooking time. drive some of the moisture out of them They’ll absorb the marinade better. Can’t wait to try this. It would make a great topping for baked potatoes, too. What was the answer to Brad’s question re. adding the beans AND the soaking water to the crock pot, or just the drained beans? And if you add the soaking water, how much? Since the size of the pot that you cook the beans in before adding to the crock pot will vary person to person, one really can’t make this recipe without knowing how much water to cook the beans in. I can’t believe that figure is excluded from the recipe. It’s a critical figure. Funny to see my old comments here. I never wound up making the soup but I am today. My question is about using canned beans. 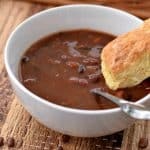 Would you suggest using the entire can of beans (including the liquid they are in), or draining them ? When it comes to canned beans – ask yourself the question – do I need the sodium? If I purposely do NOT salt whatever I am cooking, I may just drain the beans and add them (to get some of the sodium). Or, if I’ve already added items like Soy Sauce (which is already salty) I will drain and also rinse them too. Hope this makes sense.